Dog groomer Julissa Sperling found Nigel outside of her home and took him to work at her grooming business. She said that he was the happiest bird, barking along with the dogs, and chattering away in Spanish. Sperling is from Panama and knew that he was asking what happened. Of course, she didn't know. No one knew except Nigel and he seemed to be a bit baffled on that point himself. 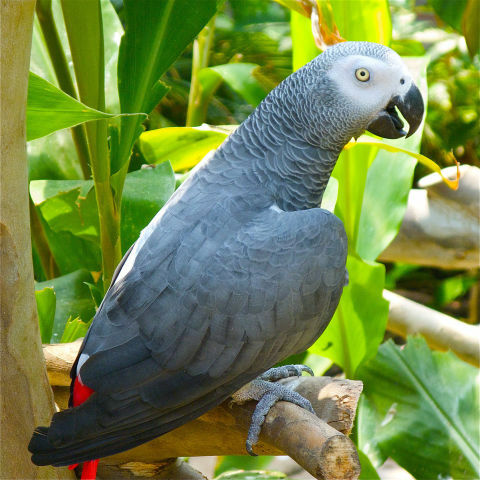 Sperling had seen an ad by veterinarian Teresa Micco who was looking for her own missing African Grey and took the bird to the vet. At first Micco thought Nigel was Benjamin, her parrot. Then she checked the bird's microchip and found Chick's name. She called and asked him if he had lost a parrot. Chick was caught off guard and thought that she meant recently. 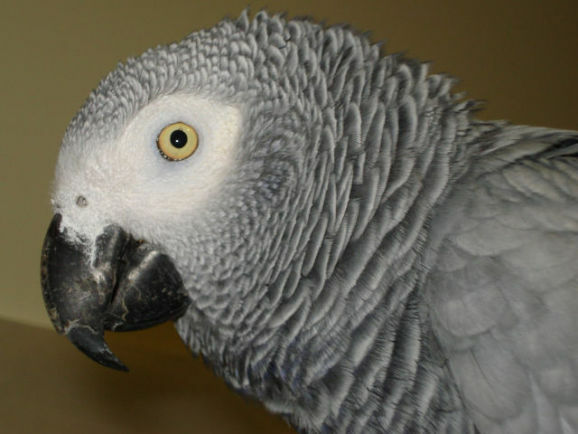 She went back and rechecked the information on the microchip and called him again, this time explaining that she had a parrot with his information on the microchip. He was astounded that Nigel had been found after such a long time. Chick had tears of joy in his eyes when he was first reunited with Nigel. He tried to pick the bird up and those tears quickly turned to tears of pain as Nigel bit him. This is normal parrot behavior and the two quickly reconciled. He said that the bird is in great shape. Wherever he has been for the past four years he has been well cared-for. This is the fifth such reunion that Micco has facilitated between parrot and human since she has been placing ads looking for Benjamin since he flew the coop in February through an open door. Hopefully all of these good deeds will also lead to a reunion for the two of them.